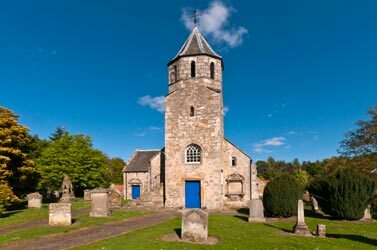 Welcome to the website of Pencaitland Parish Church which, we hope, provides a good sense of what our Church community is like. We've tried to show who we are, what we believe, what we're praying for and how we seek to grow in faith alongside each other and bring glory to God. Guests are most welcome at our Family Service held each Sunday at 10:45a.m. We understand that going to a Church can feel a bit daunting if you're not used to it, so we aim to be welcoming and to put guests at ease. You'll be greeted at the door and given a song book and a notice sheet that includes the order of service and other announcements. Please sit wherever you feel most comfortable. Music will be playing as people arrive and there's usually chatter as folk catch up with one another before the service begins, creating a buzz. We want guests to feel relaxed and to enjoy the service. Welcome cards are on the pews and you can use them to give comments, express interest in activities or make prayer requests. If you wish to do so, you're welcome to join us for coffee and refreshments afterwards in the Carriage House where parking is available. We look forward to welcoming you. Throughout 2014, there were around 5,300 individual visitors to our website, almost 10,700 visits and 62,050 pages viewed. There was a steady growth in traffic over the year and the busiest month, not surprisingly, was December when 21,136 pages were viewed. The top ten downloads were sermons while the top five pages viewed were Calendar, Contact, Who’s Who?, Community Newsletter, and Welcome to Pencaitland. It was particularly pleasing to see that significant numbers stayed online for up to 30 minutes. If you'd like to give any feedback, we'll be delighted to hear from you.